Travelling! A lifestyle for some, an annual luxury for others. Packing for traveling can be somewhat of a nightmare if you’re like me. I always begin with the best intention to not go overboard yet somehow I always do, and let’s face it those airport luggage allowances can be scary! Now you might be thinking why would I be packing an umbrella, who goes on holidays to destinations that rain! Well, I use umbrellas for protection against the sun! The sun’s ultraviolet rays are so damaging even on overcast days that having an umbrella with me gives me an extra weapon against them! Always remember that complete protection involves not only bringing your own shade with you. If you’re looking to round out your sun safety gear, check out the SimplySunSafe recommendations on sunglasses, hats, clothing, and your last line of defence – sunscreen. After thorough research into requirements for the best compact umbrella to be effective for sun protection, SimplySunSafe recommends MintFroest Ultralight Mini Compact Sun Umbrella as the best mini umbrella for portable sun protection. Read on for a detailed buyer’s guide, comparison table, and in-depth reviews of the top 5 travel umbrellas for sun protection. So you’re off on an adventure and want to take an umbrella. The best travel umbrella is going to have some specific features you will want to look for size is obviously a big factor here but there are additional things to think about too! Umbrellas are available in both large and small sizes. But for travel umbrellas you’re going to want something small and compact that is easy to carry and pack. Umbrella sizes are measured across the arc rather than the width so you will want to make sure you are looking st the correct measurements. If you are after an umbrella that’s small and just for yourself look for sizes between 35 to 50 inches. This will provide you enough protection to cast some personal shade and isn’t too big that it’s a hassle to have open and manoeuvre in large crowds that you might encounter in tourist destinations or even passing fellow adventurers when hiking. Another important factor when looking for the best small umbrella is the weight. You don’t want to be carrying around or packing extra weight. Save your back the trouble and keep some room spare for all those souvenirs you know you will buy and never use! This little acronym stands for Ultraviolet Protection Factor. This number gives you loads of important information about the fabric of your umbrella. In fact, it tells you how much of the sun’s harmful ultraviolet rays will be blocked before reaching your skin and causing irreversible damage. I always try to recommend product with excellent protection (UPF 40+). There are so many options when it comes to umbrella materials, fabrics and colors. I have listed some of the ones you will more than likely come across in your search. 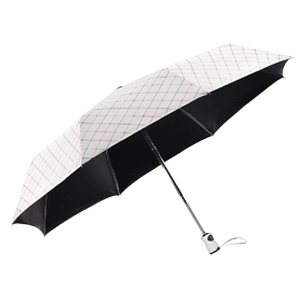 Aluminium – this is a great option for a strong umbrella that will stand up against moderate weather conditions. Fibreglass – another tough option for standing up to windy conditions. It’s also safe to use in storms. Nylon – perfect for protection you from rain and sun. Patterned fabrics – Let your personality shine through with a bold print or pattern. There is no need to think umbrellas are boring! There are lots of options for you to explore. Plain colors – Corporate and classy. Plain print umbrellas are available in a large number of colors. It doesn’t have to be boring though there are lots of shades available not just black and silver. Believe it or not, not all umbrellas are built for both rain and sun! Most of the umbrellas I will look at today do both, but If you are after an umbrella dedicated to sun use it could be different to an umbrella you want to use in the rain. Parasols are generally used for sun but may be horrible for rain protection. Make sure you know if you want protection for both before starting your hunt to narrow down your options. Umbrellas come in all colors and sizes, they also come in all prices! Depending on the quality, size, and brand umbrellas can range anywhere from some small change into the hundreds of dollars for some brands. Your aim should be to look for a quality umbrella within your budget but if you think a higher priced umbrella will provide a better quality then don’t be afraid to spend a little extra. After thorough research that combined discussing issues with customers, reviewing customer feedback, examining manufacturer specifications, and participating in sun safety forums SimplySunSafe has chosen the 5 best portable umbrellas for sun protection. Between all of these travel umbrellas you’ll get options that provide excellent sun protection (UPF 50), are suitable for wet and sunny conditions, use various materials, and come in a variety of colors and patterns so you can be as conservative or elaborate as you choose. The MintFroest Ultralight Mini is a great option for those looking for a larger range of color or design options. For sun protection you have a UPF 50 rated canopy that will keep you covered and cool. It’s my pick for the best travel umbrella. When opened, the Ultralight Mini has a size of 36 inches and packs away to just 7 inches! The umbrella has been designed to sustain high winds and gusts but if it does fold inside out the design of the spokes means they won’t break, you can just shake the umbrella back into its normal shape and be on your way. An ergonomically designed rubber-coated handle means no slipping and there is also a strap to keep it attached securely to your hand. Now, for colors and print options, there’s 14 options to choose from so this travel umbrella is bound to go with any of your holiday outfits. Super dooper budget friendly get your hands on one of these today! Get MintFroest Mini Sun Umbrella Now! The Coolibar Titanium Travel Umbrella is a great option for the compact travel umbrella for sun protection. It has a stylish and sleek design that measures 42 inches fitting one person comfortably. When packed up it is a nice and little 11 inches so it will comfortably fit in your handbag or luggage. A UPF 50 rated nylon cover has you protected in both sunny and stormy conditions. The Coolibar Travel Umbrella features a double canopy that has a mesh insert to assist with ventilation and windy conditions. To get you covered an easy one push auto open and close means you get sun coverage fast. Each umbrella comes with a matching cover so you won’t get everything wet when you store it away. It is usually available in 3 color options with black the most commonly available (due to high demand). Since Coolibar is a leader in sun protection their prices are a little higher but their reputation and quality is worth it. Get Coolibar Travel Umbrella Now! Rainbrace are a brand committed to providing the best rain protection products. Their name means ‘embrace rain’ so they definitely know how to make a good rain protecting product however they also incorporate sun protection too. The Rainbrace UV Sun Umbrella is rated UPF 50, providing you with the highest sun protection available. An inner black vinyl layer gives you extra protection while keeping you cool by absorbing some of the heat. The fibreglass shaft and spokes won’t flip inside out in heavy winds and are also strong enough to stand being thrown around in your backpack or luggage. 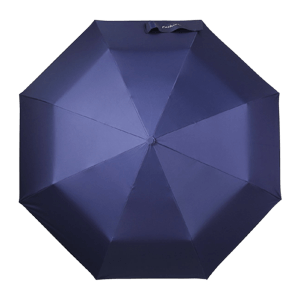 This umbrella is perfect for travel as it’s lightweight and compact measuring just over 10 inches when folded and weighing under 1lb. Even though it’s compact once folded it opens up to a generous 38 inches perfect for providing personal protection. Easy open and close operation with an automatic button operator. The handle is ergonomically designed and has a rubber cover for an easy grip. The Rainbrace is available in two designs which come with a matching cover. A great compact budget friendly option. 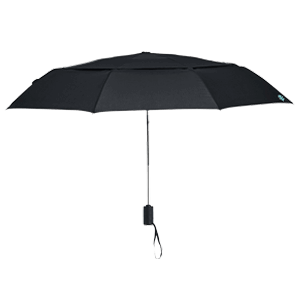 Get Rainbrace Travel Sun Umbrella Now! So my lovely readers, this umbrella made the cut because I absolutely adore the print on the canopy. I could not look past the gorgeous floral leafy design. Obviously it also has some other great features that will work to ensure you are protected from the sun all day long. The canopy section provides both rain and sun protection with the a high rating of UPF 50. A durable aluminium alloy frame will stand up against windy conditions. This one has a manual opening and closing mechanism. This compact travel option opens to 38 inches which is a great size for travelling. Accessories include a cover and an umbrella holder. They also have comfort in mind with an ergonomic handle and nylon hand strap. It is only available in the one design but it is a gorgeous one! Well worth the higher price tag. 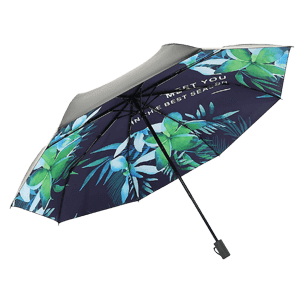 A must look at if you’re in the market for a tropical vibe compact travel umbrella. Get Muryobao Folding Sun Umbrella Now! 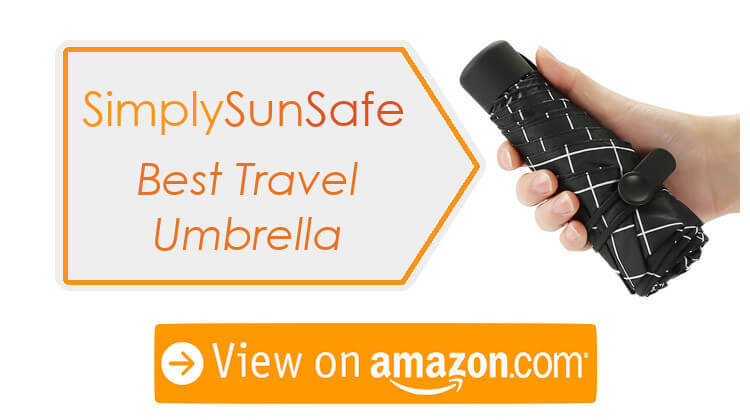 The MintFroest Portable Travel Umbrella is featured in SimplySunSafe’s top 5 because they have such an amazing choice of colors, as well as being a great sun protection choice. A great personal size of 37 inches and a lightweight 10.6 ounces it’s a great compact choice for travelers. The canopy is rated UPF 50 with a black lining to assist with sun protection and cooling. It is marketed as a super light umbrella and states it may not be as strong as as standard umbrella but still boasts strong aluminium spokes and shaft. Another manual open and close option, push and expand your own personal shade. Now for those looking for some gorgeous muted tones this one is perfect. There are some beautiful colors to pick from a great pick for those in the market for a cute low budget umbrella. Get MintFroest Portable Umbrella Now! So you have your bags all packed for your next adventure and just need a new umbrella to add to your collection. Great for protecting your precious skin. 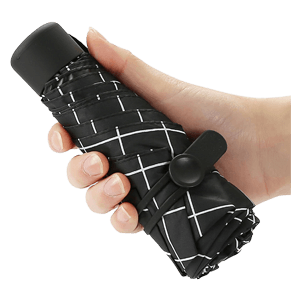 A compact travel umbrella is a great option for taking on hikes, adventures with your children, or the local fair. It won’t add too much weight and can be folded away when needed. I wrote this article to cover something for everyone. Always try and look for the buyers guide features we looked at to see what you should look for when making your purchase. 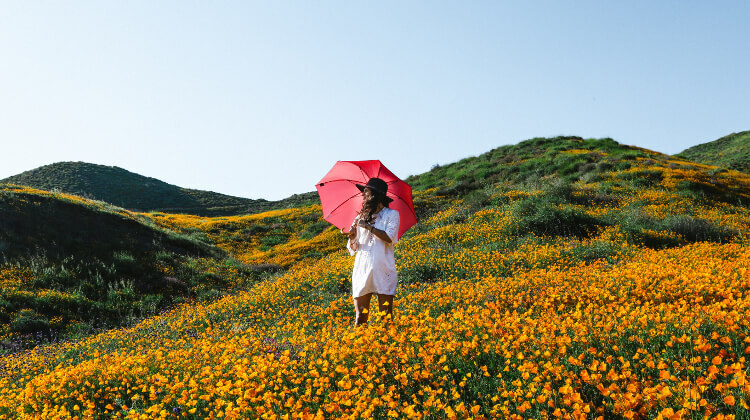 SimplySunSafe recommends the MintFroest Ultralight Mini Compact Sun Umbrella as our champion pick and the best folding umbrella you should definitely consider purchasing. After taking into consideration all the features in the buyers guide, this was the product that came out on top. If one of the other travel umbrellas better suits your needs, go ahead and choose that one because ultimately the decision is about you and your needs. I love hearing from my readers so please let me know if you purchase one of these items or find another umbrella that suited you better please let me know about it in the comments. I love researching and will update my guide. I hope you enjoyed my article on the best umbrellas for protecting you from the sun.